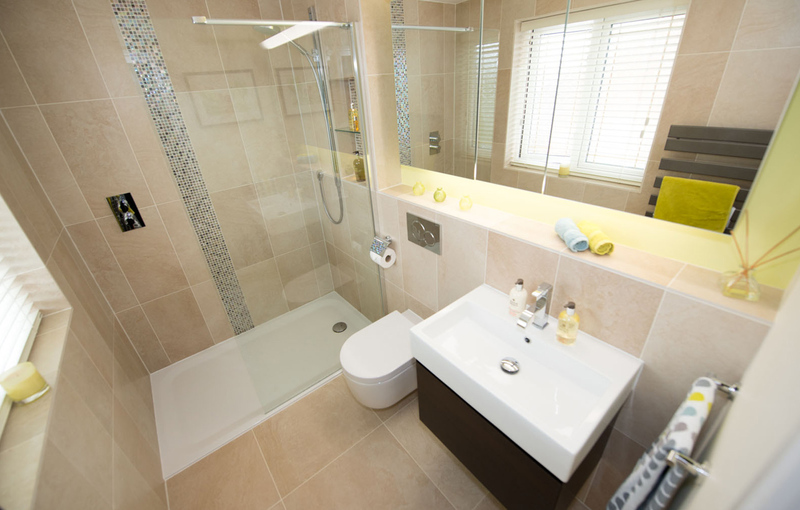 A complementary ensuite was needed for our client following the refurbishment of their master bedroom. 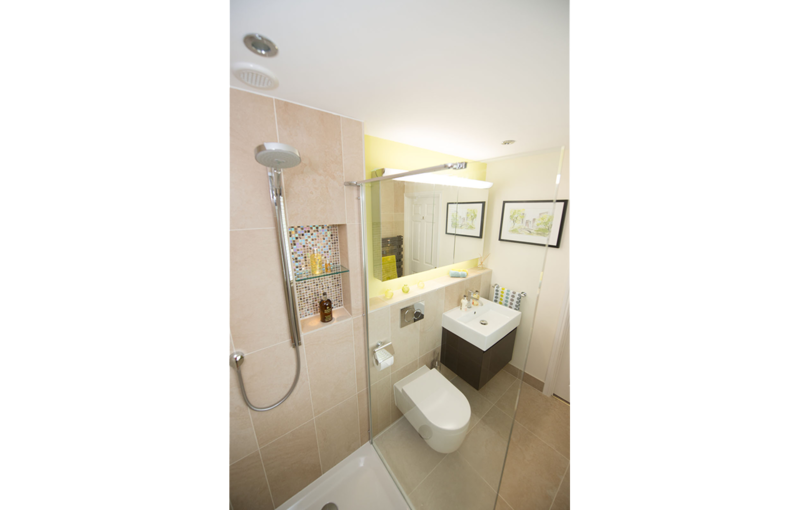 When entering the room, the focus was on the shower so a full height mosaic feature panel was an integral element of the design. 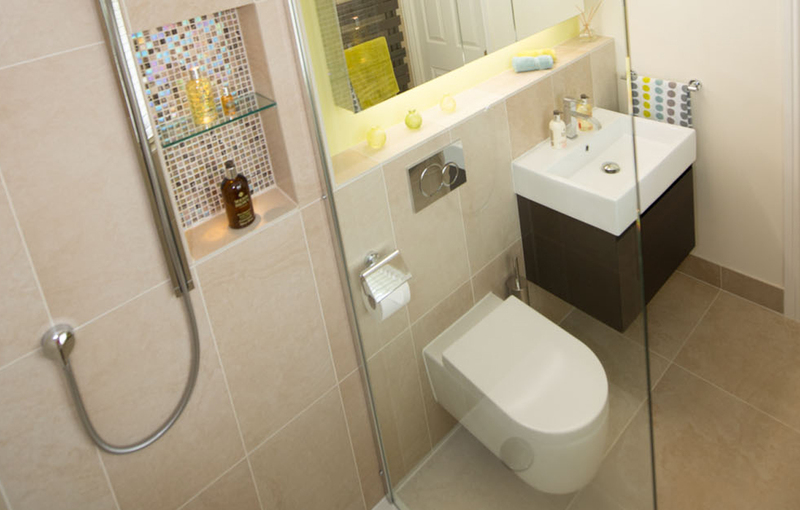 The colour scheme of the tiles was chosen to complement the bedroom reflecting a singular space rather than two. 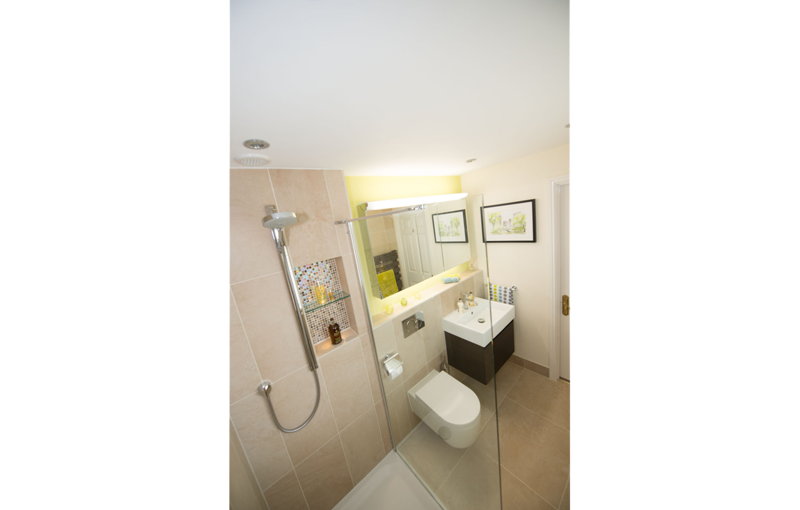 The room needed to flow from the bedroom, but also to be very low maintenance so that it would be easy to keep clean and tidy. 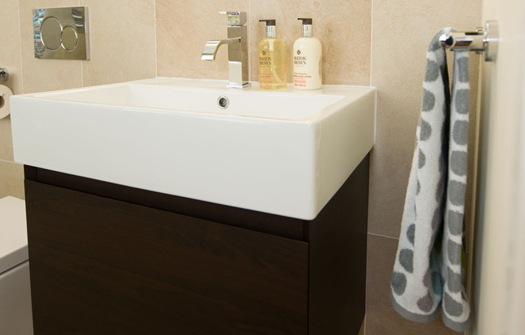 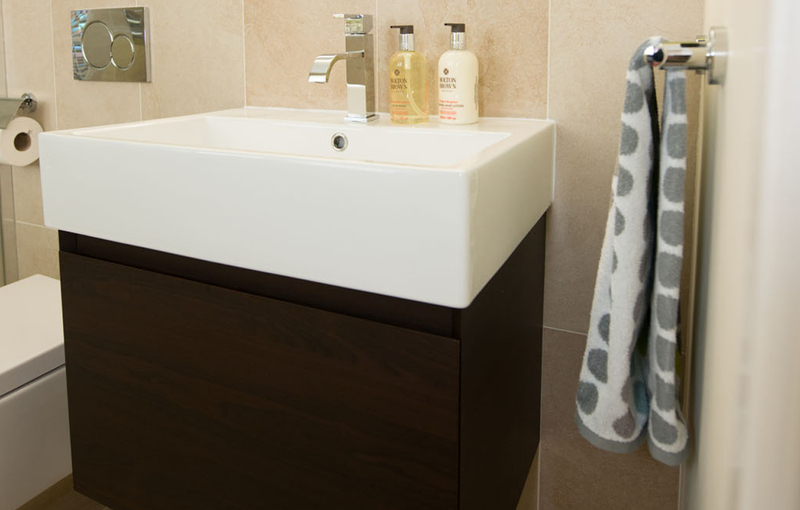 By hanging the stylish vanity unit, basin and WC on the wall, we were able to create a room design that offers the clean lines and easy maintenance which was a must for them. 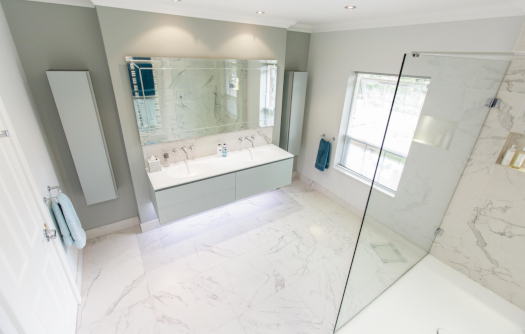 Part of our brief was to include an accent coloured feature wall which we designed to sit behind the mirrored cabinet, providing further hidden storage. 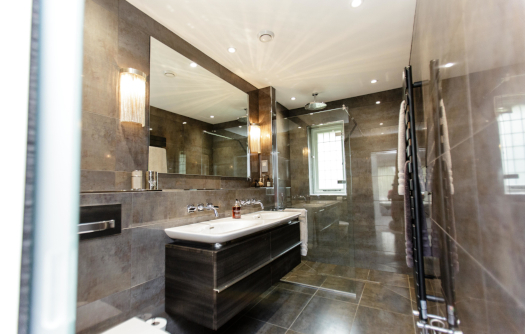 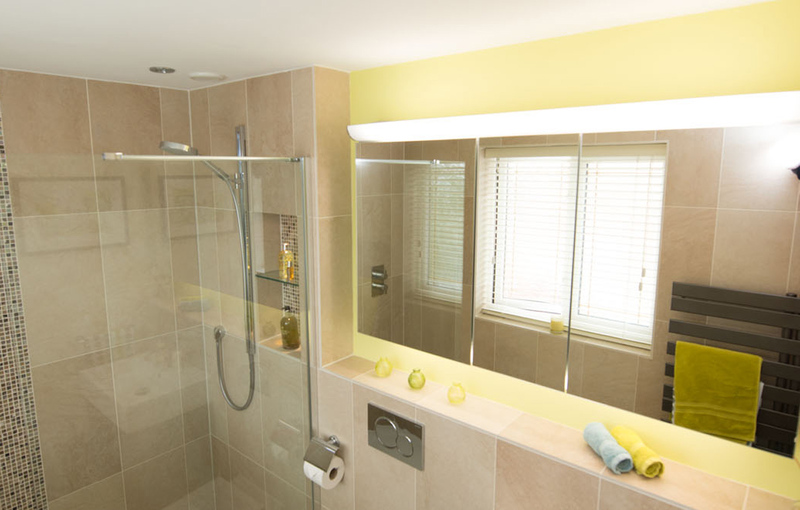 We wanted to make the en-suite truly luxurious, which we achieved by designing a large walk-in shower area. 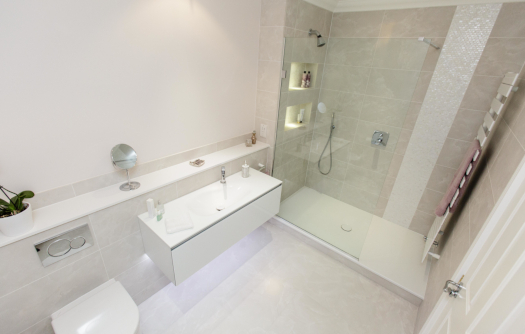 A Bettelow-levell shower tray in white gave clear definition for the wet area with a semi-frameless designer glass screen providing a streamlined look.